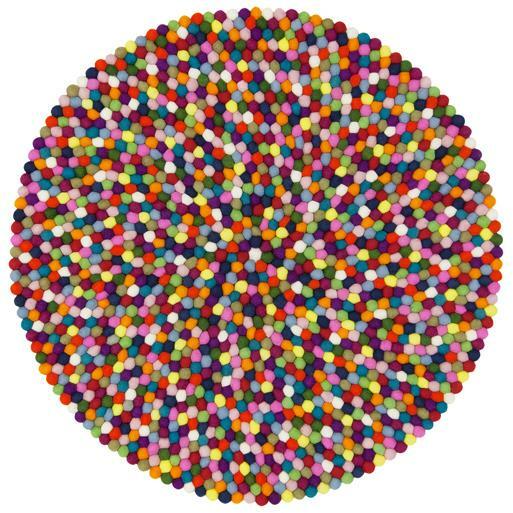 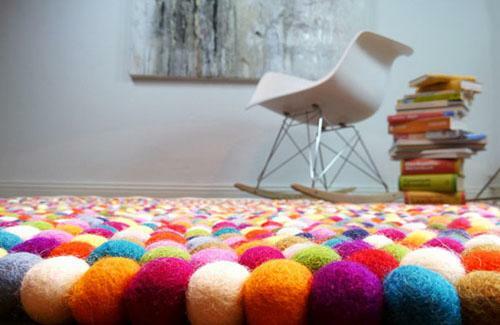 Lotte Round Felt Ball Rug. 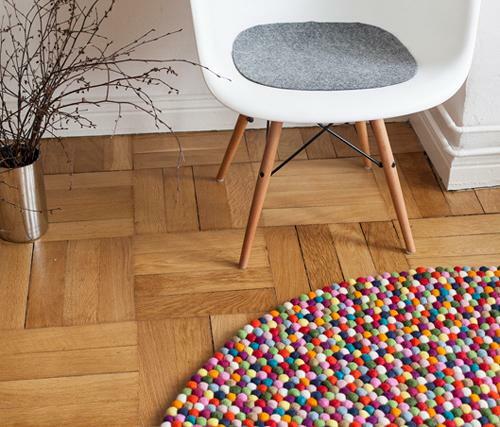 Playful, colourful and always the center of attention. 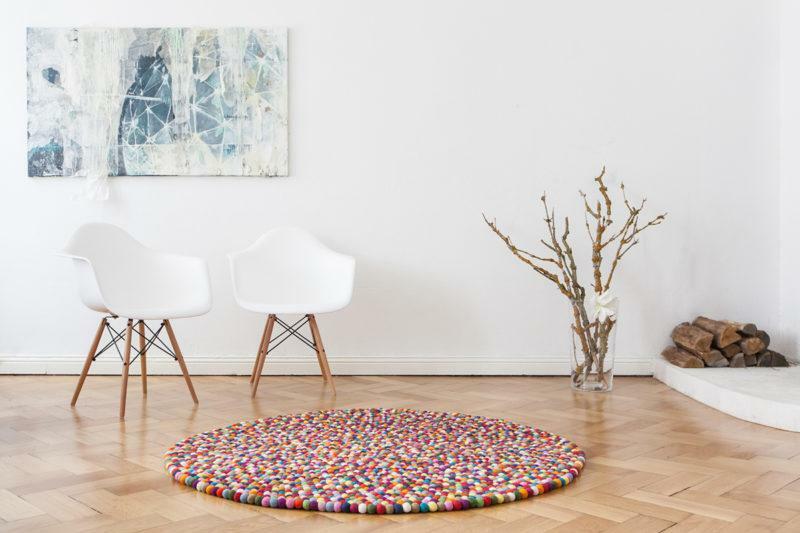 Felt Ball Rug Lotte’s strong, warm colours attract attention to itself without being overwhelming. 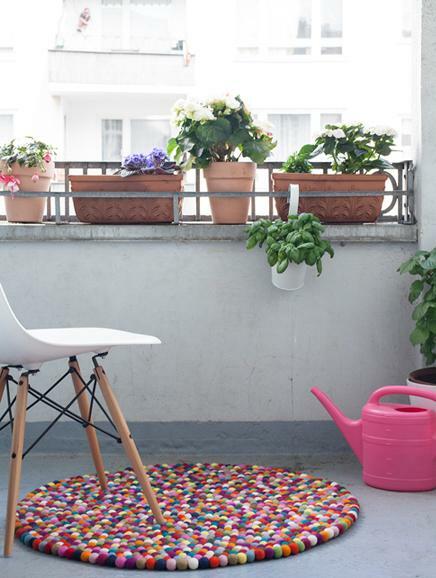 Felt-ball-rug Lotte in round shape harmonises with any surroundings.